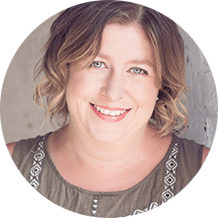 Easter always puts a spring in my crafty and imagination mojo and kick-starts the creativity throughout spring and well into summer. The first year that my eldest was able to understand about Easter I noticed the same thing happened with him. We made delicious snacks with our chocolate nests and decorated no-egg Easter Egg Sugar Cookies. We also did traditional activities like an easter bonnet parade and a fun Easter Egg hunt in the garden. 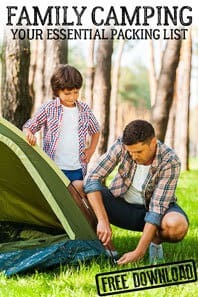 Those days are now a distant memory as he’s heading towards 8 years old now but I still remember that time with great fondness so I’ve put together my favourite Easter Activities for Toddlers for you from those days. 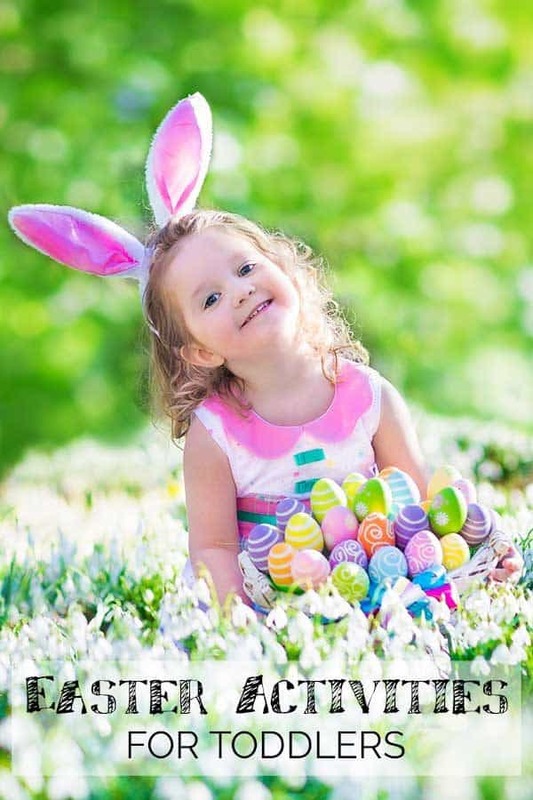 Does your toddler or preschooler have a Easter Hat Parade? Check out our ideas for hats and bonnets for kids and you to make together. 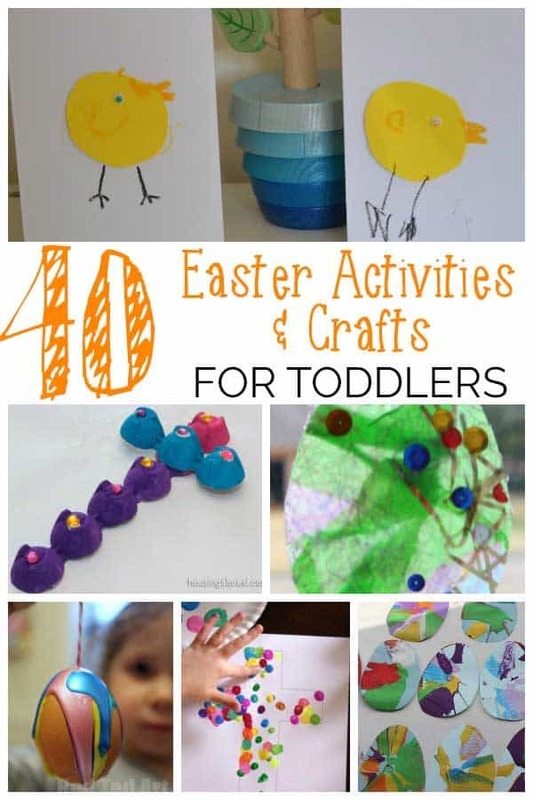 Try some of these fun Easter Activities for Toddlers with your children this year or see our extra Easter Crafts for Toddlers and you to do together. Celebrate Easter by sending a handmade card from your toddlers (remembering to keep a copy yourself for their memory boxes as well of course). Some Simple Easter Cards with Chicks and Bunnies from Mummy Mummy Mum! 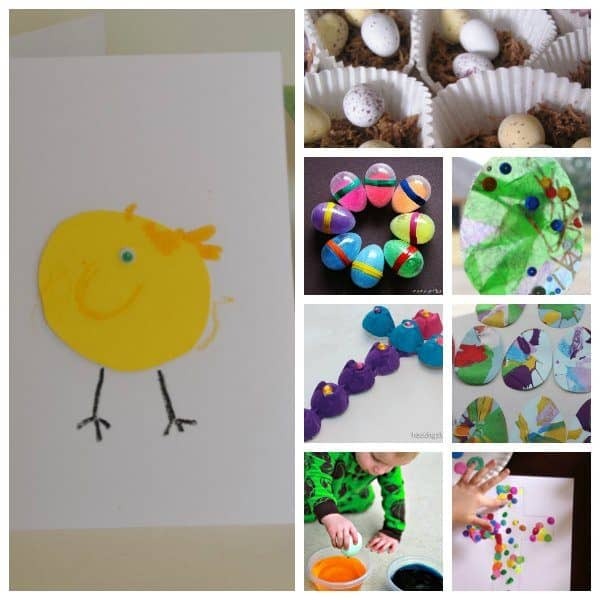 Thumbprints are perfect for toddlers and you to create together and what better way than turning them into little chicks on an Easter Card from Red Ted Art. Another thumbprint card idea these Easter Basket Cards from Inner Child Fun look great and are easy to make as well. 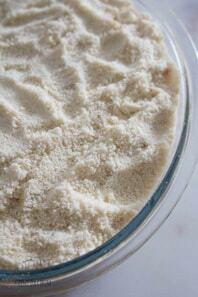 We have included affiliate links to the crafting supplies we use. If you purchase via the link we may earn a small commission. Stock up on more pastel coloured cardstock and paper than you think you will need. I always found that once we started creating we would go on a spurt and continue making more and more pictures, cards and other crafts until they got bored. Stickers make an easy craft to do with toddlers and this pack of Easter themed stickers is ideal with bunnies, lambs, chicks, eggs and flowers you will be able to quickly set up invitations to make cards and pictures that will keep your toddlers and preschoolers occupied and getting creative. 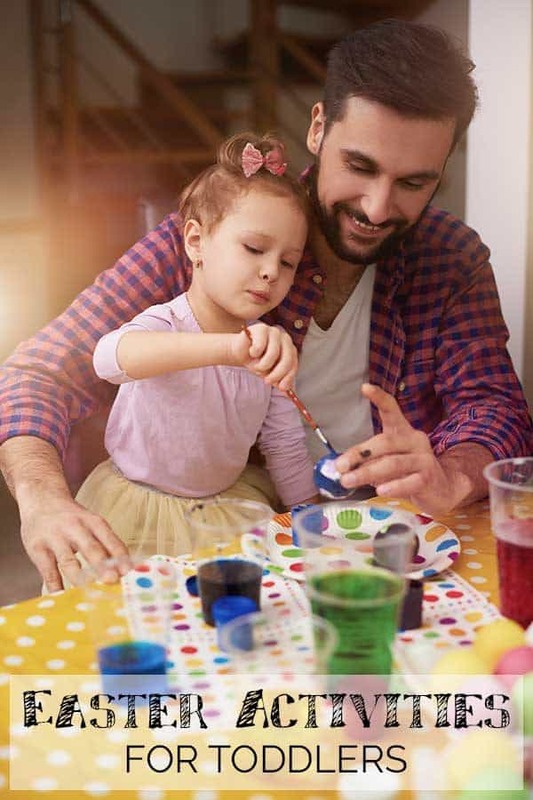 Use Natural Dyes to dye your Easter Eggs with toddlers and preschoolers – just make sure that you cover the area you are working and your toddlers so that they also don’t turn out red or blue as well. Avoid broken Egg Shells and plastic eggs by getting your kids to decorate and then hide these wooden eggs – normal washable markers will work on them as will paints and even the natural dyes we recommended above. 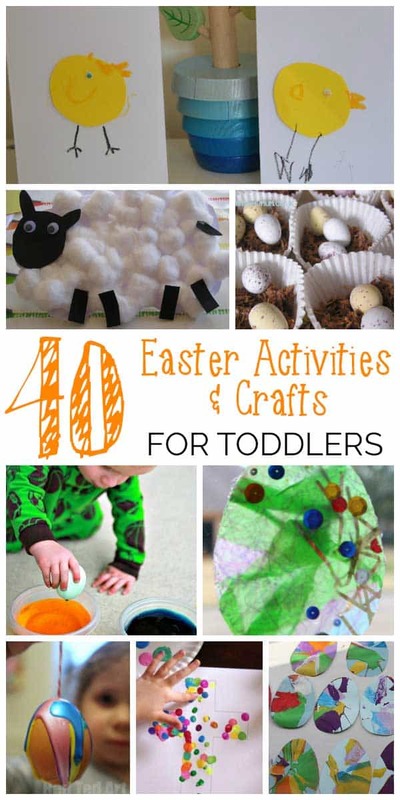 Talk to and teach toddlers about the Easter Story by creating some cross crafts that will help them to relate the story to things that they can do and understand. This egg carton cross is perfect for little hands to make from Housing a Forest. Create a cross sun catcher like this one from Learn Play Imagine – toddlers love playing with the contact paper and the effect that it creates. This Cross Finger Print Craft is ideal for Toddlers over on Meaningful Mama. Use your own coloured sand or buy some and create a Sand Art Cross like this one from True Aim Education. 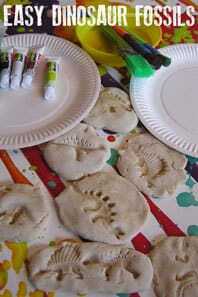 Dye your own egg shells and use them to create pictures of the cross like this idea from Kids Activity Blog. Read some of these fun Easter Books for Babies and Toddlers with them this year! 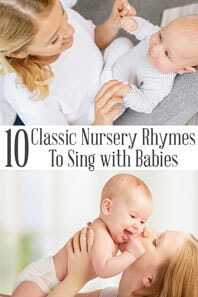 Do you also have a baby or know of someone expecting a baby then check out our Ideas for Celebrating Baby’s First Easter with simple crafts, activities and gift ideas. Eggs are a sign of birth and are so ingrained with Easter that we eat them, decorate them and talk about them, with them being a sign of spring as well it’s wonderful to get little hands involved. If the eggs mentioned in the post are real or blown eggs why not swap them for plastic or polystyrene eggs if your toddler is at the rough handling phase still. 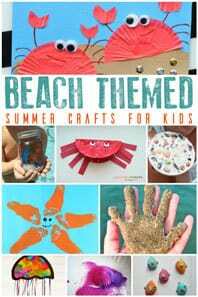 But don’t worry if they do break then get your children to smash them up further, dye them and use them to make simple eggshell collages. 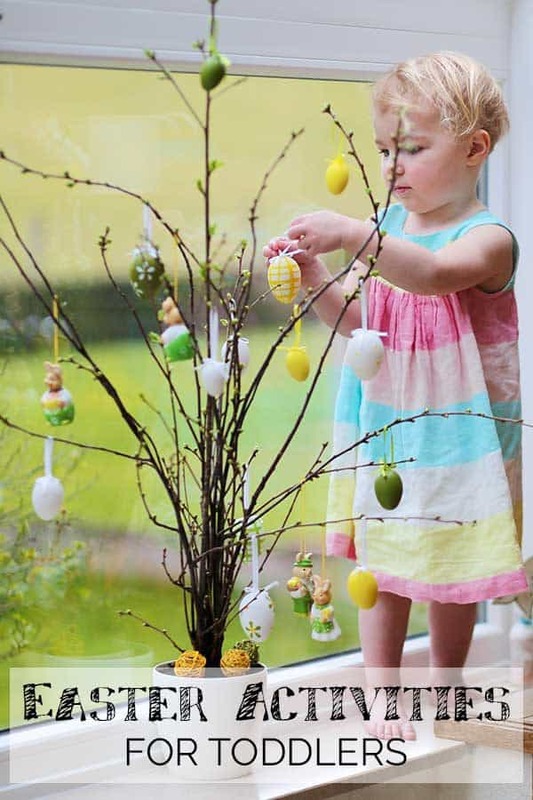 With little hands why not make your egg for decorating on a large scale and a paper mache egg like this one from The Imagination Tree is perfect for toddlers to make with you this Easter. If you’ve never dyed eggs before (I haven’t with kids) then these tips for dying Easter Eggs from Learn Play Imagine are perfect for you and your toddlers to do. 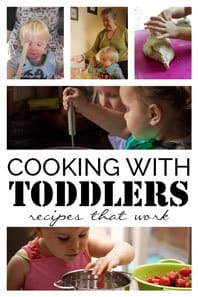 Whether it’s making eggs, bunnies or spring animals crafting this time of year is fun for toddlers to do with you and is a perfect activity to connect and spend time together. Decorated Easter Eggs a perfect Toddler and you activity to create a garland or to decorate your home with. Spring Lambs we made these last Spring with 2 under 3’s perfect for your older toddler to make with you and will take you through to Summer as the lambs will still be seen on the farms. Who delivers the Easter Eggs in your house – it’s a bunny in ours and this cotton tip painted Easter Bunny is perfect for practicing fine motor skills and lots of fun too from Toddler Approved. Whether your eggs will be real or chocolate this Easter why not decorate them with some fancy hats from Mummy Mummy Mum! 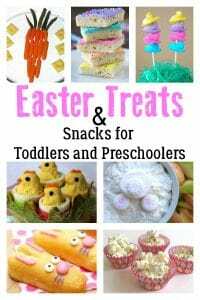 Whether it’s cooking, baking or the Easter Candy toddlers love helping you with Easter Treats each year. Our Easter No Egg Cookies are perfect for toddlers to make as the dough has no eggs in them if they are in the eat everything phase they can eat the dough with no harm coming to them. Why not try one of the easy hot cross bun recipes to make with your children – the mug cake one would be perfect. 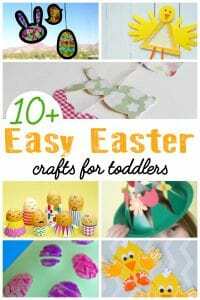 You don’t just have to craft or cook to have fun with a toddler this Easter check out these fun Easter Activities and play ideas for your little ones. 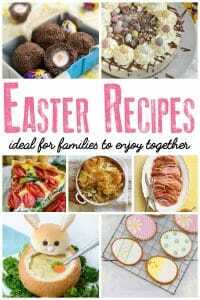 Looking for ideas for older children then why not head over to 3 Boys and a Dog and the Amazing Easter Recipes Crafts & Educational Ideas resource with over 60 ideas. So many fun Easter ideas! I think even my six year old twins will enjoy some of these.